A selection of country ties with bird tie themes including Snipe, Pheasant Ties and other bird motif ties. Each tie has stitched motif detail. We are pleased to be able to say that these theme bird neckties are completely manufactured within the United Kingdom from weaving the material at the mill to sewing the material to make up the tie. 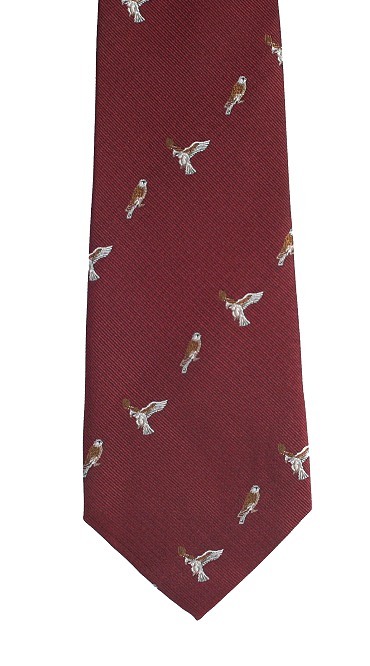 A lovely burgundy Kestrel necktie with embroidered standing and flying kestrels on plain background. An attractive country tie for bird watchers. 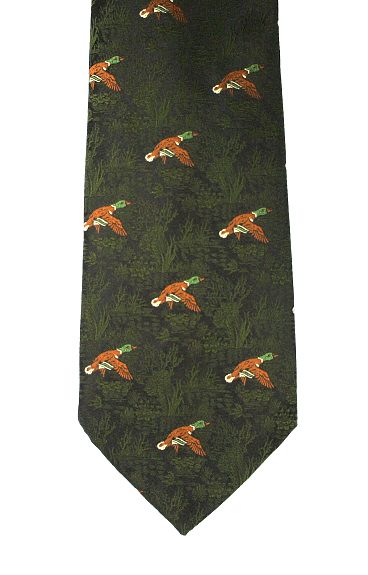 An attractive mallard ducks tie with embroidered flying birds on a green background. An attractive mallard ducks in flight tie with embroidered birds on a navy blue background. A neat pattern partridge tie with embroidered motifs on a plain navy blue background. A neat pattern partridge tie with embroidered motifs on a plain maroon background. A beautiful kingfisher tie with brightly coloured perched kingfishers in an embroidered design on a navy blue background. 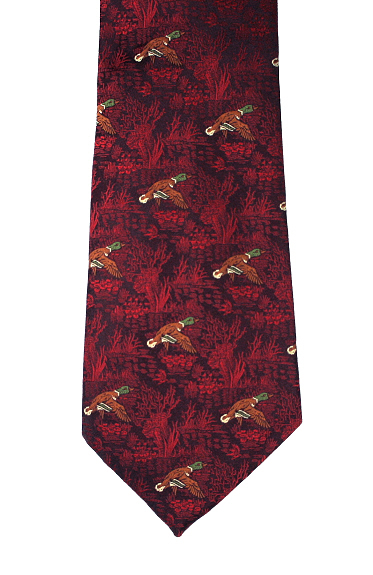 An attractive pheasant tie with with woodland background in an embroidered design. Available in four colours. 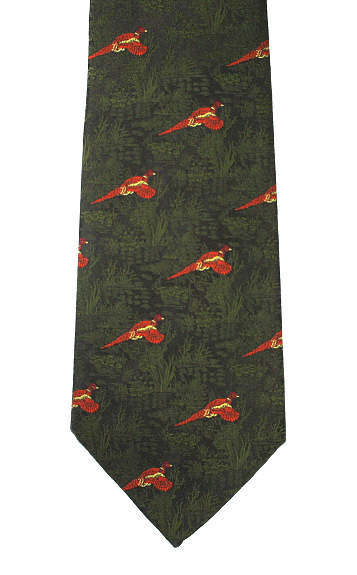 Flying and standing pheasants embroidered bird motif on plain tie. Available in two colours. A burgundy snipe tie with embroidered flying birds on a plain background. A snipe tie with embroidered flying birds on a plain green background. 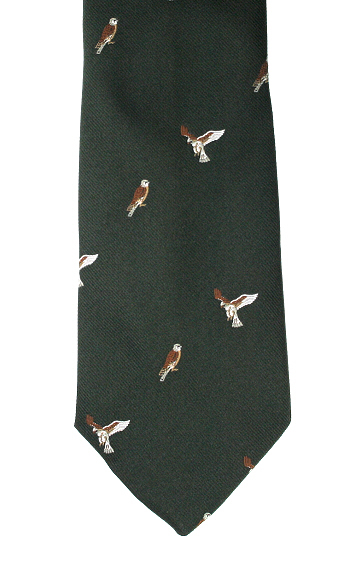 Majestic falcon neck tie with embroidered motif on plain green tie. 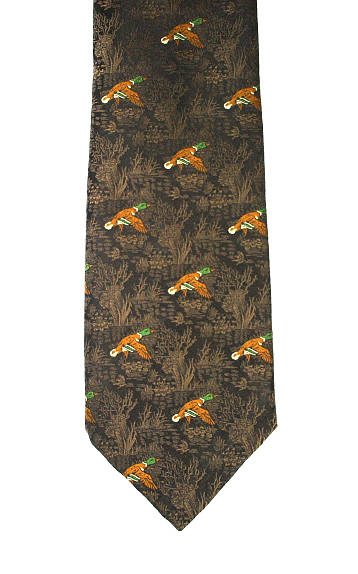 Necktie with an embroidered large fox and small pheasant motif on a plain background. Available in three colours. 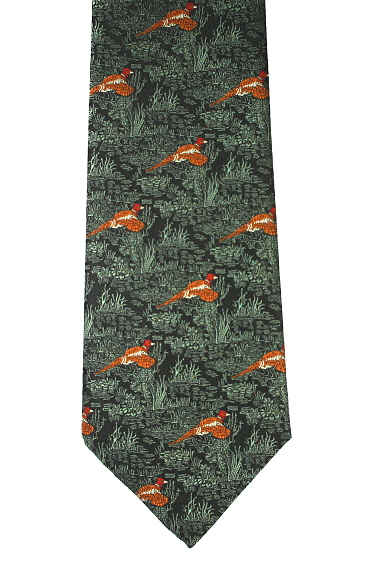 A lovely pheasant tie in standing pose with embroidered birds on a plain green background. 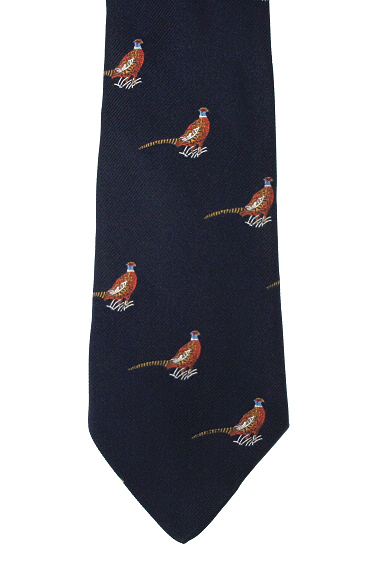 An attractive pheasant tie in standing pose with embroidered birds on a plain navy blue background. 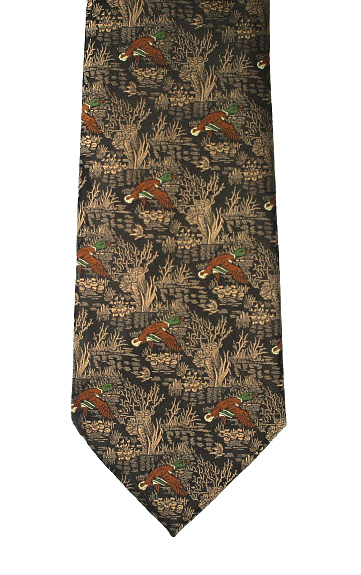 Mallard duck necktie with detailed mallard motif on a woodland background. Available in five colours. Smart flying and standing pheasants embroidered bird motif on plain olive tie. 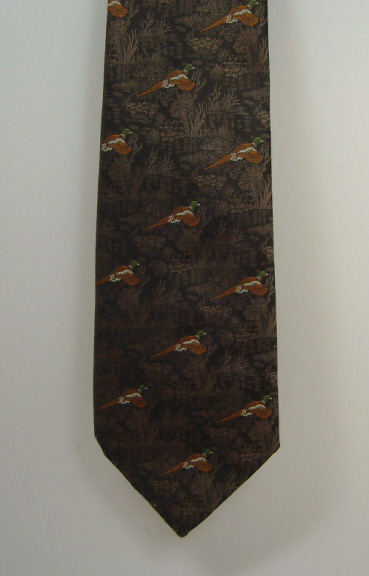 Flying and standing pheasants embroidered bird motif on plain dark brown tie. Flying and standing pheasants embroidered bird motif on plain muted green tie.